"Actually there is no difference in hearing directly from Krsna or from hearing directly from Krsna via a bona fide spiritual master like Vyasa. The spiritual master is the representative of Vyasadeva also. According to the Vedic system, on the birthday of the spiritual master, the disciples conduct the ceremony called Vyasa-puja." Click here to read Srila Prabhupada's 1933 Vyasa-puja poem to his spiritual master, Srila Bhaktisiddhanta Sarasvati Thakura. Click here to read Srila Prabhupada's 1936 speech to the Sri Gaudiya Math in Bombay. 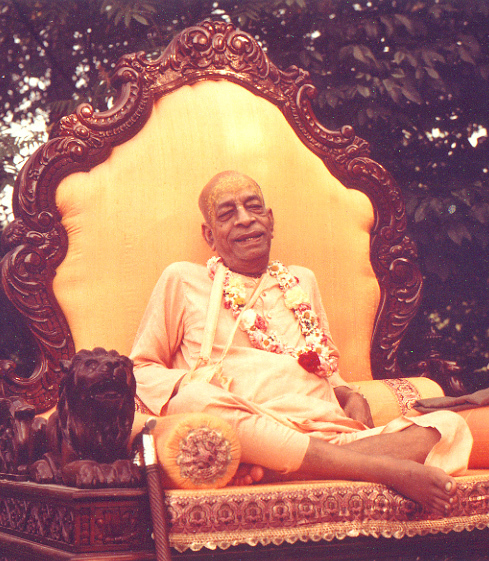 The Prabhupada Connection is dedicated to Srila Prabhupada out of deep respect and gratitude for his unlimited love and compassion towards all living beings.